The Economic and Financial Crimes Commission (EFCC) has arrested eight suspected internet fraudsters in Ibadan, the Oyo State capital. According to a statement from the anti-graft agency on Saturday, the suspects were apprehended by operatives of EFCC Ibadan Zonal Office at the Elebu-Oja area of the town. Those arrested are Ojo Ayobami, Ojo Ayotunde, Ibidapo Ileriayo, Ibidapo Kolade, Dayo Adedokun, Adeniyi Gbenga, Aluko Idowu, and Adeusi Olatunji. 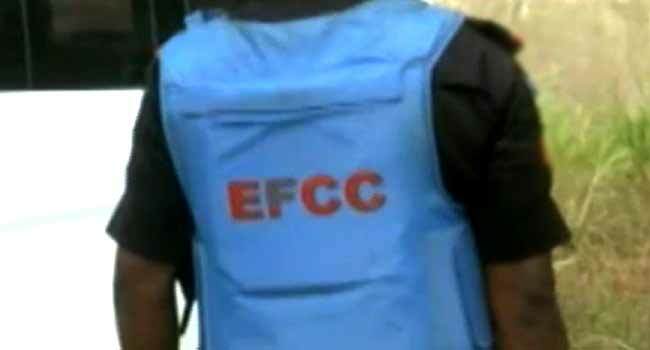 The EFCC said they were rounded up on Friday following action on a series of intelligence reports. The suspects were alleged to be involved in fraudulent activities ranging from love scam and other forms of internet fraud, through which they reportedly obtain money from unsuspecting victims. Three different models of cars, laptops, phones, international passports, and several incriminating documents were recovered from them. The statement disclosed that the suspects would be charged to court as soon as the agency concludes its investigation. The EFCC, however, distanced itself from a raid of suspected internet fraudsters in Osogbo, the Osun State capital, shown in a video trending on the social media. “We need to state that much as we have avowed, pursuant to our mandate to root out cybercriminals in the nation’s space, we clarify that the operatives depicted in the video are not those of the Commission,” the agency said in another statement. The agency stressed that its operatives would by no means embrace theatre or open attraction of public attention pursuant to their duties. It, thereafter, advised its critics to look elsewhere for the source and actors in the video, insisting that the fingerprints of the operation do not belong to it. The EFCC revealed that it does not have an office in Osogbo yet, and the Ibadan zonal office which covers Oyo, Osun and Ekiti states has no knowledge of the purported raid. “We restate that we are committed to making every shade of financial and economic crime unattractive to criminal elements among us. We will not rest on our oars in this resolve,” the statement added.